Forget the haunted mazes, attractions, and shows. The scariest thing about Knott’s Scary Farm is the long lines! 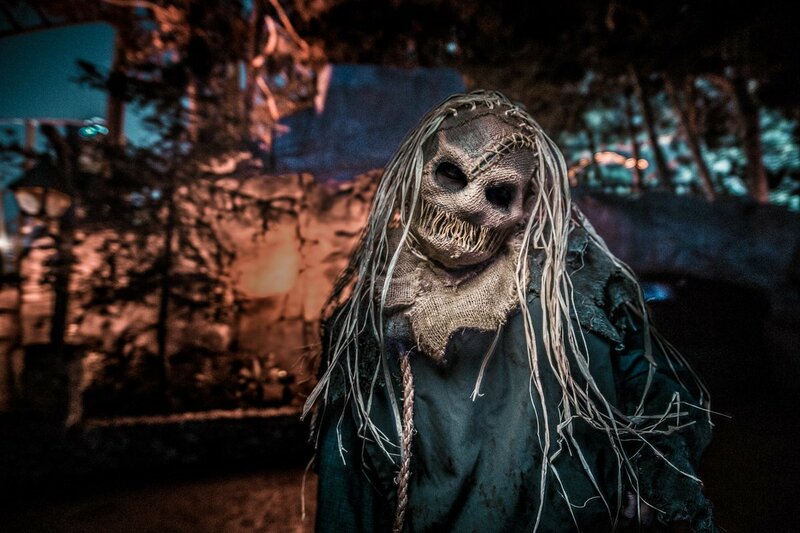 On select nights in November to October, Knott’s Berry Farm transforms into Knott’s Scary Farm — one of the most popular Halloween events in the country. With haunted houses, mazes and attractions, shows, and thrill rides, Knott’s Scary Farm is the ultimate Halloween theme park experience. What about the crowds, though? Halloween events at theme parks are notoriously crowded. Universal Studios is swarmed by crowds in the fall for Halloween Horror Nights. Attendance surges at Disneyland for Halloween Time, one of the busiest times of the year there. Knott’s isn’t spared from the big Halloween season crowds and scary-long lines, either. So, just when is Knott’s Scary Farm least crowded? Some nights can actually be manageable — and other nights should simply be avoided altogether. Let’s take a look at what to expect. Is Fright & Fast Lane Worth It? Here’s the good news about Fright & Fast Lane: The pass gets you unlimited priority access to all mazes and unlimited priority boarding on all Fast Lane rides. It’s a lifesaver on very crowded dates, saving you hours from waiting in lines all night. On peak nights, long wait times for the mazes make it impossible to complete the park without the pass. Here’s the bad news: Fright & Fast Lane is pricey. 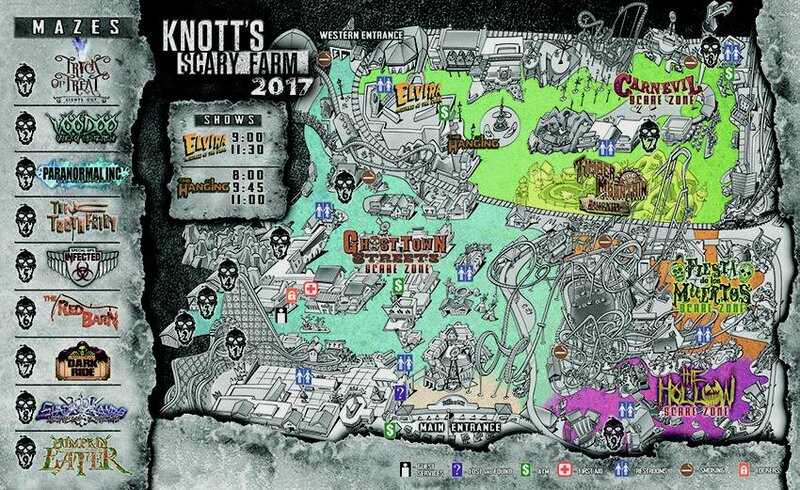 Park admission is not included with the pass, which means you also need to purchase a Knott’s Scary Farm admission ticket on top of it. So, here’s the $100 question: Is it worth it? From our experience, it’s definitely worth buying sometimes — but you can get away without it on many nights. We only recommend Fright & Fast Lane on nights that are projected to be crowded. Check the Crowd Calendar to find out if it’s worth splurging for or not. We think Fright Lane is a must on “Forget About It” dates and also recommend it on “Yup, It’s Packed” dates. If you’re going on a “Hey, It’s Alright” date, the pass usually isn’t necessary. Beat the crowds and arrive at Knott’s Scary Farm as early as you can. We recommend getting there at least 1 hour before opening (by 6:00pm) to give yourself enough time to deal with traffic, parking, and get ahead of the long lines at the entrance. If you really want a head start on the crowds, consider purchasing tickets for the Knott’s Scary Farm Boo-fet dinner. It’s a buffet before the event starts followed by early entry to select areas of Knott’s Scary Farm before the park opens. General admission tickets and Fright & Fast Lane Passes can sell out on peak nights (especially Fridays and Saturdays in October), so be sure to buy your tickets early and in advance online. Plus, prices are usually cheaper online than at the gate and you won’t have to wait in line at the ticket booths. It’s a win-win. Yes, we know Fright Lane is expensive, but if you’re going on a peak night, you probably won’t get everything done without it. Again, check out the Knott’s Berry Farm Crowd Calendar for dates that are expected to be crowded (Note: Knott’s Scary Farm crowd projections are labeled “KSF”). Go in September for the lightest crowds and shortest lines of the season. It’s not uncommon for waits to be 30min or less, especially on Thursdays and Sundays. Wait times tend to vary a lot by October, as the Halloween season crowds start to pick up. Attendance is lower early in the month and peaks by the second weekend of October. Thursdays tend to be least croweded (around 30min waits is the norm). If you go on a Friday or Saturday night in October, be prepared for the longest wait times of the season — 60-120min or more is common. Around 60min waits is the norm on most Sundays. Have you been to Knott’s Scary Farm? What was your experience like? Be sure to let us know in the comments below!